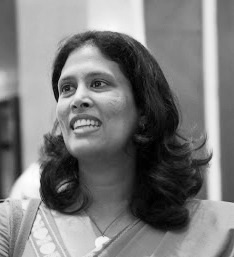 Karin Fernando is a Senior Professional at the Centre for Poverty Analysis (CEPA) where she leads activities related to the Environment and Poverty. Her interests are in natural resource management, sustainable development and poverty. Her current work involves exploration and analysis of links between the environment (its resources, management and use) and how it affects the lives of poor people and vice-versa. The aim is to provide better integration of environmental factors into decision making, planning and programming at all levels so that a more sustainable development trajectory can be put in place. To generate evidence for this research, Karin and her colleagues carry out multiple activities including assessments and reviews of projects and programmes, theoretical research of concepts and its application, dialogue, exchange activities and others. KF: I am part of the team that is carrying out a study for UNEP of their "showcase projects" under the banner of Asia Pacific Forum Environment and Development (APFED). The goal is to distill factors that aid or abet scale-up and replication, which seems to be a generic problem with trying to establish sustainable development initiatives. The range of projects being reviewed involves various livelihoods activities such as small-scale fishing, aquaculture, farming in and around protected areas or environmentally sensitive areas. As a part of this effort we started a series of activities called "Making Sustainability the next metric: the post 2015 Development Agenda". We are linking this with the global discussions on the Sustainable Development Goals and are trying to create dialogue and recognition of true integration of environmental issues into a development agenda. This work does not specifically focus on small-scale fishers but looks at the structural issues leading to environmental exploitation and inequality that marginalized poor people including small-scale fishers. A recent paper written on this topic can be found here. KF: In order to achieve better conditions for small-scale fishers or indeed any other marginalized community or group, it is necessary to re-think our development models. The economic growth-centered models built on neoliberal principles are creating inequalities and environmental degradation, resulting in calls for a paradigm shift in how we achieve wellbeing. The paradigm shift has to be one that acknowledges the limits to natural resources and biophysical processes and one that is geared towards reducing the distributional inequalities among people. This requires a true integration of each domain of sustainability as well as tackling poverty and prosperity.